M&A of unlisted joint-stock companies, limited liability companies and limited partnerships are regulated by the Italian Civil Code (the Civil Code). The rules applicable to listed companies are set forth in the Civil Code and in the Italian Securities Act (Legislative Decree No. 58/1998) and implemented by secondary regulations adopted by the Italian Securities and Exchange Commission, the public overseeing authority of mergers and takeovers, and the Italian Stock Exchange (Borsa Italiana), the private company in charge of the management of the Italian securities market. Listed companies may also adhere to the Code of Corporate Governance issued by Borsa Italiana, which, for the signatories, follows the 'comply or explain' model. Certain transactions are subject to merger control clearance, which, depending on the nature of the companies involved and the sector in which they operate, is issued by the Bank of Italy, the Italian Antitrust Authority (IAA) or the Insurance Regulation Authority. 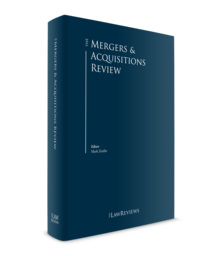 In terms of structure, M&A transactions can come in the form of acquisitions of companies through share (and quota) deals, asset deals, leveraged buyouts, tender offers, turnarounds, equity carve outs, mergers and demergers, or combinations of these. The main forms of transactions covered by Italian law are asset deals, share and quota deals, and mergers and demergers. The choice of one structure over the others entails different consequences in terms of legal implications and tax consequences. Asset deals concern the direct transfer of a business (inclusive of employees, assets, know-how, contracts, etc.). The Civil Code, as a rule, provides for the continuity of such business – agreements related to the activity are automatically transferred, except for those having personal connotations, pursuant to Article 2558 of the Civil Code, and the seller remains jointly and severally liable with the buyer for debts accrued before the transfer pursuant to Article 2560 of the Civil Code. Depending on the number of employees involved, prior notice of the transfer of a business to the union representing its employees is required (while such notice is not required in a stock deal). An advantage of asset deals lies in the possibility to choose the perimeter of the business to transfer, with the option of expressly excluding certain assets while including others, and of excluding certain liabilities. This may represent an advantage, for example, to the buyer, who may so be protected from risks connected to the previous management of operations by excluding their transfer. As to the transfer itself, an asset transfer agreement must be executed before a notary public and registered at the relevant company register. A potential disadvantage in choosing an asset deal is the application of stamp duties in proportion to the value of the business while, on the other hand, the buyers may enjoy a step-up in the value of the transferred assets (see Section VIII). In share and quota deals, the underlying business is the 'indirect' object of the transfer, which, instead, directly concerns the shares or quotas. Thus, no specific protection is given by the Civil Code on the company assets and on the continuity of the business activity unless specific representation, warranties and covenants are carefully drafted in the stock purchase agreement. As to the transfer itself, share certificates representing the capital of joint-stock companies must be transferred through an endorsement before a notary public, whereas if the transfer involves the quotas of limited liability companies, the agreement must be executed before a notary public and registered at the company registry to be validly enforced towards third parties. Recent trends in business transfers have included the use of an M&A structure consisting of the creation of a wholly owned newco from the part of the seller to which the latter transfers, by means of a contribution in kind, a business, with the subsequent transfer of the shares or quotas of the newco to a buyer. Setting aside the tax effects (see Section VIII), compared to an asset deal, such structure allows for a clear separation of the business on the part of the seller and its direct dealing with employees and other stakeholders (creditors, suppliers, customers) prior to closing. On the other hand, in the case of a breach of agreement and a refusal to close by either party, the enforcement and specific performance of the M&A agreement, with the transfer of the business by judicial order, might be more difficult, leaving an option to claim for damages. The Civil Code regulates mergers (Article 2501 to Article 2505 quater) and demergers (Article 2506 to Article 2506 quater). Mergers can be in the form of mergers by acquisition or mergers by incorporation. In both cases, pursuant to the principle of 'continuity' set forth by Article 2504 bis Civil Code, the company resulting from the merger assumes the same rights and obligations as the companies participating in the merger. Despite the above principle, in reality, real estate assets falling into the realm of a merger still require registration for tax purposes, pursuant to Article 4 of the attachment to Legislative Decree No. 347/1990; and a cadastral transfer pursuant to Article 1, Paragraph 276 of Law 244/2007. Article 2501 bis Civil Code expressly provides for mergers by means of a leveraged buyout. Before the introduction of this provision in 2003, implementation of this type of transaction was heavily jeopardised by the provision of Article 2358 of the Civil Code, which, at that time, did not allow for a company to provide securities or issue loans for the purchase of its own shares. As to the limits, companies that are in a winding up procedure may not participate in a merger if the distribution of their assets has already begun, pursuant to Article 2501 of the Civil Code. Such limit only concerns joint-stock companies. A delicate aspect to consider in mergers and demergers is the protection of the minority shareholders, if present. To this end, the exchange ratio, which represents the 'price' of the transaction and is determined by the directors of the companies participating in the merger, is a crucial aspect of the merger itself. It is important to note that such ratio has to be described by the directors in their report pursuant to Article 2501 quinquies Civil Code, and appraised by an expert appointed by the court pursuant to Article 2501 sexies Civil Code. Minority shareholders might challenge the validity of a merger until the deed of merger is registered. Thereafter, their claim is switched to a claim for damages. Recently, new measures have been introduced to accelerate credit recovery procedures of non-performing loans and facilitate the issuance of new credit, also to the benefit of M&A transaction financing, and new guidelines have been adopted aimed, inter alia, at favouring the business continuity of insolvent or distressed companies. Among the most significant innovations are the following. the introduction of security over movable assets without divestment of the debtor, with an agreement that he or she may dispose of an asset in good faith in the continuation of his or her business, allowing the creditor to execute the security out of court, again in contrast to Article 2744 of the Italian Civil Code,5 as long as the creditor, in the event that the appraised value of the security exceeds the relevant outstanding debt, corresponds to the debtor, or the other creditors, the difference in value. The new EU General Data Protection Regulation (GDPR),6 aimed at unifying the privacy policies of Member States with the purpose of ensuring stronger and broader protection of data, entered into force on 24 May 2016. From 25 May 2018, the GDPR applies directly in all Member States. The Italian Parliament recently passed a law enabling the government to adopt the legislative decrees necessary for alignment of the national rules to the GDPR. Law No. 119/2016 introduced Article 48 bis to Law Decree No. 385/1993, the Banking Law, which provides financial institutions with a more direct, less costly, out-of-court enforcement procedure of guarantees on loans by allowing banks to satisfy their credits over a debtor's real estate by means of a direct transfer of such security to the creditor upon default of the borrower. Such transfer had previously been admitted by Italian courts only with reference to specific transactions, as an exception to the general rule pursuant to Article 2744 of the Civil Code. In particular, this new legal provision admits that loan agreements executed between banks or other financial institutions authorised to issue credit and entrepreneurs may be guaranteed by a registered transfer of title over the debtor's real estate assets, conditioned to the breach of his or her obligations pursuant to the loan agreement, and complies with Italian law principles through the provision of the patto marciano (Article 48 bis Paragraph 2 of the Banking Law). The latter allows a lender, for loans secured by property, to obtain the transfer of such property upon default by the borrower, but requires that the creditor, in the event that the appraised value of a real estate security exceeds the relevant outstanding debt, shall have to correspond to the debtor the difference in value directly in his or her bank account. Under certain conditions, this transfer procedure may also apply if a court enforcement is initiated, and if the debtor undergoes bankruptcy. As a general rule, Article 2786 of the Civil Code provides that a security interest over movable assets is executed by delivering the relevant asset to the secured creditor, with a few relevant exceptions (such as the pledge over financial instruments pursuant to Legislative Decree No. 170/2004 and the special privilege pursuant to Article 46 of the Banking Law). To render credit transfers more flexible, in line with other jurisdictions, Article 1 of Law Decree No. 59/2016 introduced the possibility for entrepreneurs to grant a pledge over non-registered, movable company assets to creditors, without losing the right to trade or use the relevant movable asset. The entrepreneur is expressly allowed to dispose of the secured asset (e.g., by transforming or selling it), and the assets deriving from such use will be subject to the same security interest without having to carry out any formality for the constitution of a new security. The issuance and refinancing of debt have also increasingly grown as means of M&A financing, along with the issuance of straight equity (although this is generally more expensive for the company) and shareholders' loans. The latter are usually subordinated to bank financing. Recent changes in the above-described rules governing the granting of security, aimed at facilitating the enforcement of mortgages and pledges, might increase the amount of asset-based financing in the near future in connection with M&A transactions. The reform programme initiated by the government with delegation Law No. 183/2014 (Jobs Act) was definitively implemented in 2015 and 2016 through the approval of the final four implementing decrees. The main scope of the reform, which has been favourably welcomed by employers, is to provide an overall reorganisation, and a higher level of simplification and flexibility of employment contracts. In this framework, Legislative Decree No. 81/2015, which came into force on 25 June 2015, replaced, among other things, the rules on fixed-term contracts previously included in Legislative Decree No. 368/2001 (implementing EU Directive No. 70/1999). Before the introduction of the new discipline, employees could be hired on a fixed-term contract for specified organisational and productive reasons only. Further to the implementing Decree, no specific reason is now required for entering into a fixed-term employment contract. Fixed-term contracts (including any extension thereof) can have a duration of up to 36 months (or any longer duration provided for by the various national collective labour agreements), and cannot be entered into in certain circumstances, such as to replace employees involved in a collective dismissal in the previous six months. The overall number of fixed-term contracts entered into by an employer (having a workforce of more than five people) cannot exceed the 20 per cent of the indefinite duration contracts that are in place on 1 January of the year in which a fixed-term employee is hired. Specific quantitative limit requirements are normally set forth by the national collective labour agreements. for employees over 50 years of age. Renewal of a fixed-term contract can be agreed upon using certain terms and conditions provided for by law. Other employees are generally employed with indefinite duration contracts, which are granted different protections depending on whether they were entered into before or after the approval of the Jobs Act. The Jobs Act also introduced the possibility for employers to modify the job duties assigned to workers in view of a significant company reorganisation. For employees, this may result into a concrete possibility of demotion, or movement to other production units, departments or work sites. However, in the event that a change of job has a 'punitive' character, the employee is entitled to appeal to the labour judge, who may determine that the employer is obliged to reinstate the worker in the duties he or she previously carried out, or in a similar position and role. A further novelty is provided by the introduction of a wider possibility for employers to perform remote control over employees in the performance of their work. It is now possible, for example, to check the placement of a worker who operates off-site by controlling company vehicles, or company laptops and mobile phones. However, such control of workers must be carried out without violating their privacy, and a prior communication to workers on how the personal data is collected and processed is required. With Law No. 81, dated 22 May 2017, the Italian legislator introduced 'smart working' in Italy, which is a new system of flexible labour aimed at increasing productivity, and enabling the better conciliation of workers' private and professional lives without the imposition of limits related to time and workplace. Smart work is based on phases, cycles and objectives, and has no fixed work hours or fixed workplace, although it has to be executed within the limits of normal working hours. Smart work is based on the use by employees of technological devices that are under the responsibility of the employer. Agreements for smart working shall be entered into in writing, and may be either fixed-term or non-fixed term; in the latter case, termination shall be with notice of at least 30 days. Smart workers shall enjoy treatment at least equivalent to that of employees who work in at an employer's premises. application of stamp or registration duties in proportion to the value of the business. Contributions of going concerns, mergers and demergers allow for a step-up in the tax basis of the target's underlying assets11 and goodwill12 through the payment of a sum ranging from 12 to 16 per cent, thus reducing the taxable income by means of deductions and depreciations. those audited in the two fiscal years prior to the year of the transfer or in the year of the transfer itself, even if the liabilities relate to previous years. These limitations do not apply in cases of tax fraud. Furthermore, a buyer's liabilities may be further limited by the issuance of a tax certificate by the Tax Authority prior to the closing of the transaction. Article 1, Paragraph 87 of Law No. 205/2017 amended Articles 20 and 53 bis of Presidential Decree No. 131/1986 (the Consolidated Stamp Duty Act) with the intent of clarifying that deeds to be registered are not to be requalified on the basis of the overall economic effects achieved within a framework of several connected deeds. The new Article 20 provides that, for the purposes of correctly applying the stamp duty, the registered deed has to be interpreted by exclusively considering the deed in itself, without taking into account any external element such as, for example, connected deeds or other elements beyond the text of the deed at issue. For example, deeds concerning a contribution of a going concern followed by a sale of the shares of the transferee company are not be requalified as asset deals. Law No. 205/2017 also amended Article 53 bis of the Consolidated Stamp Duty Act in terms of the enhancement of the powers of the Financial Administration with reference to the abuse of stamp, mortgage and cadastral duties. Except in specific circumstances, under Law No. 287 of 10 October 1990 (the Law), the filing of a request for clearing a concentration (e.g., a merger, a joint venture or an acquisition of control over another company) before the IAA is mandatory when two cumulative turnover thresholds are met. Said thresholds were recently modified by Law No. 124/2017 (the Yearly Competition Act) and subsequently updated in March 2018. As a result of these changes, Section 16(1) of the Law requires prior notification of all M&A involving undertakings whose aggregate turnover in Italy exceeds €495 million, and where the aggregate domestic turnover of each of at least two of the undertakings concerned exceeds €30 million. Concerning the above-mentioned requirements, prior to the reform of January 2013, the turnover thresholds were alternative rather than cumulative. As a result, the number of concentrations assessed by the IAA dropped considerably (only 52 in 2016). In addition, the reform also abolished the filing fees to be paid upon the filing of a transaction, and replaced it with an annual tax on the turnover of all corporations based in Italy. However, the revision of the turnover thresholds by the Yearly Competition Act was precisely aimed at broadening the scope of merger control by the IAA, with particular reference to joint ventures and acquisitions of joint control over targets with a low turnover. The filing of a transaction must precede execution. The IAA may also consider receivable notifications that concern non-binding agreements, insofar as they are supported by solid documentary evidence. It would therefore be possible to notify a concentration on the basis of a memorandum of understanding or preliminary agreement. The deadline for the notification is the closing of the operation. Contrary to what occurs under Regulation (EC) 139/2004, Italian merger control law does not impose an automatic standstill obligation on the parties. Therefore, in theory it would be possible to realise a concentration after filing but before the authorisation, while accepting the risk of a de-concentration order from the authority. However, the absence of an automatic standstill obligation does not exclude the possibility that the IAA will directly require the parties to suspend their concentration following a specific decision.16 With the aim of facilitating the evaluation of an assessment by the IAA and reducing risks that could delay the duration of the procedure, the IAA suggests the discussion of possible issues related to the operation even before notification of a concentration (the 'pre-notification phase'). Once the request for the clearance of a transaction is filed before the IAA, the procedure continues in two distinct phases, a first (necessary) step and a second (possible) step. The first step begins with the filing and shall end within 30 days. At the end of this phase, the IAA may decide to clear the transaction, or to initiate a more in-depth investigation in the event that it considers that an operation is likely to be prohibited. The delay is suspended if the parties communicate inaccurate or false information, and will begin again only from the reception of additional information ('stop the clock'). For the same reason, the IAA may decide to postpone the opening of the second phase beyond the delay of 30 days. The second step begins with the IAA notifying the parties of a decision to initiate proceedings. This second phase has a 45-day duration of and can be extended only once for a maximum duration of a further 30 days. In 2016, the IAA decided to initiate proceedings in only five cases. The IAA may authorise a concentration subject to commitments undertaken by the parties to address its concerns. Contrary to procedures before the European Commission, these commitments may be both proposed by the parties and prescribed directly by the authority. In any event, commitments are generally available only in the second phase of the procedure, this being another difference with the procedure applied under Regulation (EC) 139/2004. In 2016, three concentrations were cleared subject to commitments. 1 Mario Santa Maria and Carlo Scaglioni are corporate partners at Santa Maria Law Firm. The authors would like to acknowledge the contributions of fellow partner Edoardo Gambaro, senior associate Caterina Napoli and associates Alessandra Boffa and Pietro Missanelli. 2 According to the 2017 M&A presentation 'Il mercato M&A in Italia: trend e prospettive', with the cooperation of KPMG and Fineurop Soditic and sponsored, among others, by Università Commerciale Luigi Bocconi and the Italian Private Equity Venture Capital and Private Debt Association (AIFI). 3 Italian Supreme Court Decision No. 16963/2014. 4 If the merger is carried out by incorporation in a company that is totally owned (or 90 per cent owned) by the other merging company, the procedure may be simplified with the omission of some of the above-mentioned documents. 5 Pursuant to Article 2744 of the Civil Code, an agreement providing that the creditor becomes the owner of the secured asset in the case of a debtor's breach of his or her obligations is null and void. 6 EU General Data Protection Regulation No. 2016/679. 7 According to the recent 2017 M&A presentation 'Il mercato M&A in Italia: trend e prospettive', with the cooperation of KPMG and Fineurop Soditic and sponsored, among others, by Università Commerciale Luigi Bocconi and AIFI. See also Thomson Reuters 'Mergers & Acquisitions Review, Full Year 2017', Thomson Reuters, 'Mergers & Acquisitions Review, First Quarter 2018', Thomson Reuters, 'Mid-market M&A Review, First Quarter 2018' and Thomson Reuters, 'Small Cap M&A Review, First Quarter 2018'. 8 According to the recent 2017 M&A presentation 'Il mercato M&A in Italia: trend e prospettive', with the cooperation of KPMG and Fineurop Soditic and sponsored, among others, by Università Commerciale Luigi Bocconi and AIFI. 9 Santa Maria Law firm assisted the purchasers in both transactions. 10 See Bank of Italy's Annual Report dated 29 May 2018. 11 See Law No. 244/2007. 12 See Law Decree No. 185/2008. 13 The conditions of the application of the participation exemption are (1) the participation has been owned continuously for at least 12 months prior to the sale, (2) the participations were classified as financial fixed assets in the financial statements relating to the first tax period of uninterrupted ownership, (3) the subsidiary company is resident for tax purposes in a white list country, and (4) the subsidiary is actually carrying out a business activity. 14 See Law No. 228/2012 Paragraphs 491 et seq. 15 Italian Supreme Court Decision No. 2054/2017. 16 Note that the scope of the obligations arising from interim covenants, which are concluded by the merging parties in order to regulate their relationship during the period from the signing to the closing, are currently under the scrutiny of the European Court of Justice in case C-633/16, Ernst & Young. 17 Industrials represented 25 per cent of the deals, financials 16 per cent of the deals. Energy and power followed with 14.1 per cent, then real estate with around 10 per cent. As to small cap M&A, the first quarter of 2018 was characterised by around 270 deals with a rank value of around €0.8 billion. Industrials represented 35.7 per cent of the deals, high technology 25.5 per cent, financials 13.7 per cent and real estate 8.5 per cent (see Thomson Reuters Mid-Market M&A Review, First Quarter 2018, and Thomson Reuters Small Cap M&A Review, First Quarter 2018). 18 According to the recent 2017 M&A presentation 'Il mercato M&A in Italia: trend e prospettive', with the cooperation of KPMG and Fineurop Soditic and sponsored, among others, by Università Commerciale Luigi Bocconi and AIFI.